After the let down of the D2R2 Mystery ride I needed to back into the dirt of the Lower Litchfield Hills. I put a post on the Bike Rides Facebook page to see if anyone wanted to come along and I got a few takers, like Andy Engel and the illustrious, dirt road denizen of the Lower Litchfield Hills, Jeff McKay! Steven Tramposch joined as well. 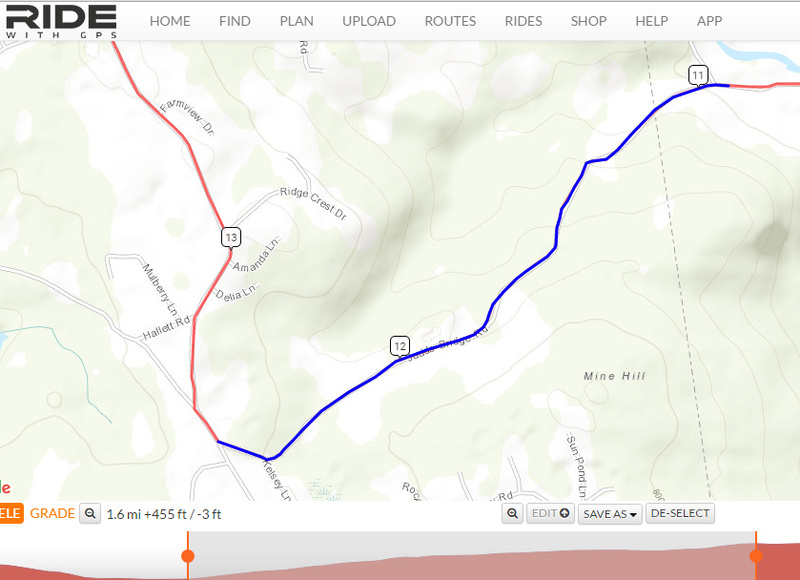 The route encompassed some of my favorites like Moosehorn, Judd's Bridge, Walker Brook and the old Shepaug Railroad roadbed. Nothing too killer; just a dirty, social ride. I brought out the Cannondale and thought it would be a great opportunity to try the CAADx on a longer dirt ride and more varied terrain. I am still on the fence whether this bike is going to replace the Surly Cross Check on my dirt road adventures. We started out by heading down the logging road on Rocky Mountain, which I haven't ridden in awhile and to my chagrin I realized that wearing dark glasses in the woods is a nogo. The Cannondale did pretty good on the descent but it still felt a little sketchy, largely I think due to the bigger frame size. 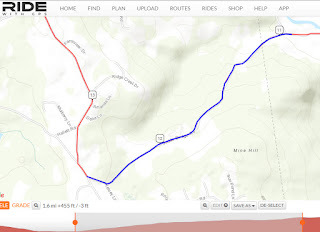 We wound our way back around to Old Roxbury Road and then took Lower County to 317 and then doglegged over to Dorthy Diebold or to what others might call Upper County. That stretch of dirt was pristine but still had some washboard hear and there. Then it was down and back up the Moose. The steep part was recently graded making the descent not as treacherous as I remember from a couple of weeks ago on my Smarter than your Average Bear gravel grinder. Same went for Battleswamp. Again a much more pleasant descent. The one thing I do like about the CAADx is the disc brakes. It doesn't take a lot of pressure to slow you down. My favorite climb in the Lower Litchfield Hills in Judds Bridge. You pedal into the climb with the grade gradually getting steeper and then it maxes out to 8.5% (according to Ride with GPS) at the S Turn but it feels like a lot more. Then it flattens out a bit and then there's another 6% climb up to Mine Hill Road. Then we blasted down Hartwell but I took it easy. Andy lost a water bottle that I picked up but my mind was elsewhere, namely looking for the spot where I saw that bear a couple of weeks ago, and I rode right past him without giving him his bottle back until he said something. We then headed up Walker Brook, another one of my favorites and then over to Buffam Road and got an unexpected surprise of finding Upper Church Hill graveled due to construction. Further up the road, the group detoured to the Averill Apple Farm for some fresh apples. The view from the farm was spectacular. It wasn't quite opening time but the proprietor accommodated some of the guy's requests for apples. I was hoping we could continue on the gravel driveway back out to Kielwasser but the woman said there was a really big gate we would have to climb over so instead we headed down Calhoon Street and then onto Kielwasser and finally onto the Buffam Road. We then rode Bee Brook up to Rt 202 and over to Romford Road, which is another great dirt road that has a really good climb towards the end. Immediately after the one lane bridge we turned onto a gravel path that gets swallowed at the tree line and then becomes the old right of way for the Shepaug Railroad. I love this section of the ride, mainly because I am a train buff and I always try to imagine what it was like 100+ years ago to travel this route by train. The final highlight is riding through the old Shepaug Railroad Tunnel. After the tunnel, you ride the old railroad bed for a half mile and then transition to the Powerline utility road and then out to Tunnel Road. From there you pass Battleswamp and pick up Judd's Bridge for a straight but hilly pull back to the Market. Ride Before Work: Ovens of France c'est ouvret! Bike to Work Update: 1000 miles in 18 rides.